In the world of audio speakers, there are two options that you can choose. There is the expensive high-fidelity speaker set that includes several different devices. This hi-fi set produces incredible sound quality, but the only catch is that it’s not portable and can cost you money for the set rack. On the other hand, there’s the wireless, Bluetooth speaker. Portable, convenient, affordable, and excellent to use anywhere. Since sound transmission is done through Bluetooth from a music player, sound quality may not be as good as its hi-fi counterpart. But there are a lot of Bluetooth speakers nowadays that can still rock a house party. So, if you’re looking for Bluetooth speakers, here’s a list of the best 7 that you can find out there. So take a read! The JBL Charge 3 speaker has excellent features and great sound quality in its arsenal. For instance, it features a 360-degree speaker body structure intentionally designed to produce a full sound. Aside from that, this wireless speaker has a long battery life that can last up to 20 hours of playtime. The JBL Charge 3 comes in various fun colors, and it is waterproof. That means that you can now listen to good music when you’re on the beach or in the pool. You can also connect this speaker to multiple speakers to produce an excellent surround sound. The Bose SoundLink Mini II was unveiled in 2015, but if you think that it’s old to compete with the latest Bluetooth speakers today, think again. This speaker still belongs to the best because of its magnificent sound quality. The bass is deep, the midrange is rich, and the high range is perfect, making it one of the must-haves wireless speakers out there. This Bluetooth speaker requires you to shell out a significant amount of cash, but what you’ll pay makes it worthy because the Dali Katch brings style and luxury to the wireless speaker category. It has an excellent design, aesthetic, and sound. With its 9 cm woofers and 21 mm tweeters, you can guarantee a rich and full sound from it. As for the battery life, the Dali Katch Bluetooth speaker has a playtime that can last up to 24 hours. You will also not regret its smart NFC and Bluetooth connectivity. The Denon Envaya is among the top Bluetooth speakers in 2018. Why? This wireless speaker produces a first-rate, rich, and full sound that would fill any room in your house. The Denon Envaya Bluetooth speaker also boasts of its waterproof and dustproof design. Many music lovers also consider this speaker as one of the most durable in the market today. In UE Boom 2, you’ll have everything that you’re looking for in a Bluetooth speaker. It’s easy to carry, durable, and delivers a powerful, excellent sound quality. It’s waterproof design also makes the UE Boom 2 speaker the ideal speaker for every occasion. Plus, it’s lightweight, lasts up to 16 hours of playtime, and it enables USB charging. 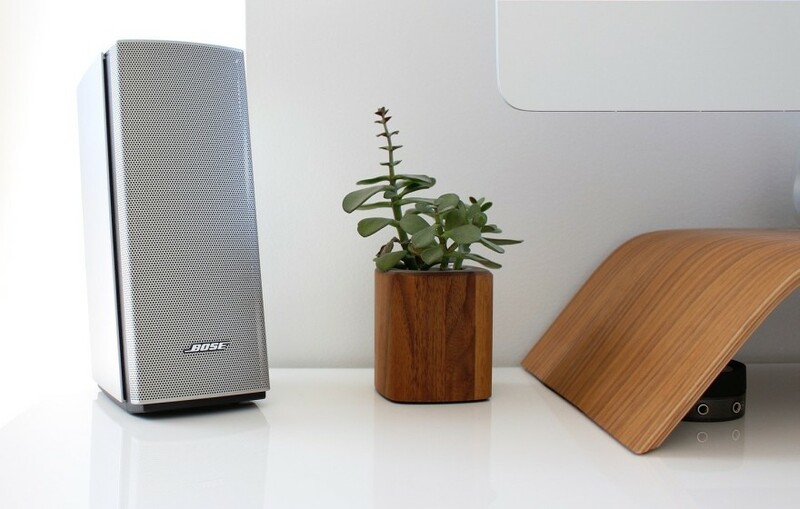 The Varo speaker is not only Bluetooth-enabled, but you can also play it through your Wifi network for a continuous play without the interruptions from a text message or a phone call. You can also connect it to multiple speakers to create excellent surround sound in a room. Sound quality check, battery life check, durability check. Now, if you want this Bluetooth and Wifi-enabled speaker, you can check Deal Wiki for it. If design and excellent sound quality are what you’re looking for Bluetooth speaker, the newest wireless speaker from Bowers and Wilkins is the thing for you. The Bowers and Wilkins Zeppelin Wireless has a solid and stylish design that is perfect to display in your living room. This wireless speaker also delivers an excellent sound that can fill the room due to its dynamic deep bass and clear midrange. Due to these amazing features, you need to splash your money on it, but it’s a guarantee that it’s worth the price. If you’re a music lover, a Bluetooth speaker is one of the devices that you should have with you. It’s portable that you can take it anywhere and it produces an excellent sound quality that makes your hobby of listening to music worthwhile. If you’re looking for the best Bluetooth speaker, you can take some cues from the list above for that purpose. Can Gadgets Influence Our IQ Level?